Welcome to the website of Doheny Wheelie Bins & Recycling Ltd. For up-to-date news please visit our Facebook page, or like our Facebook page to stay informed. 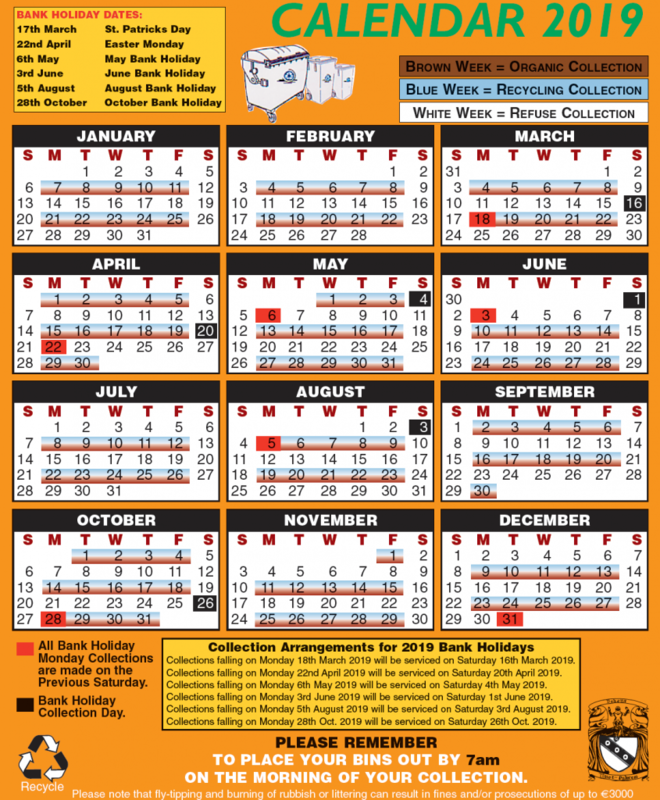 Please see our new 2019 calendar below. For over 60 years, Doheny Wheelie Bins & Recycling Ltd has been providing a quality service to its ever-expanding customer-base in the south-east and midlands. We offer a large range of services for all existing and new customers from the smaller domestic bins to large bins and, of course, recycling. Phone: 0567729838 or eMail: dohenybins@eircom.net. Address: Castleinch, Callan Rd., Kilkenny, Co. Kilkenny. © 2019 Doheny Wheelie Bins & Recycling Ltd. All Rights Reserved. Built with Startup WordPress Theme and WordPress.